Have you ever thought about creating an online course and building a digital asset which provides you with a passive income stream? We hope your answer was an emphatic yes! We’re giving away a package that will include everything you need to take action and get that idea for an online course built so you can turn it into an income stream. Prior to October 29th, 2018 at 11:59PM EST, visit our giveaway page and enter to win. There are 17 different ways to enter and you can accrue an unlimited number of entries. On October 30th, we’ll be randomly selecting five (5) lucky winners who will be contacted by email! WHAT ABOUT CURRENT LICENSE HOLDERS? If you happen to have a current WP Courseware or S3 Media Maestro license, you’ll receive a free one-year license extension for either or both plugins. 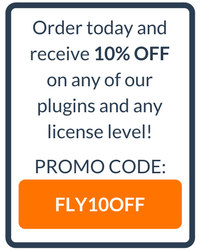 And if you don’t currently have a license for both plugins, we’ll send you the other for free as well…along with the 30-minute call with Ben and the t-shirt, of course!